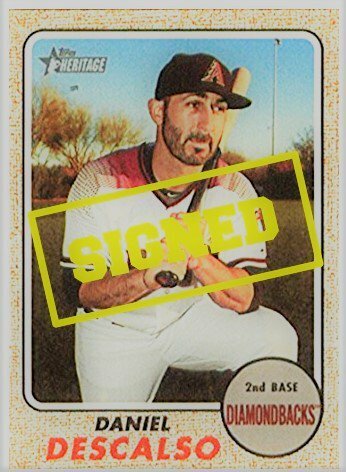 For two years and a cost of $5 million, the Cubs got themselves a backup utility infielder in Daniel Descalso. He can play 2B, SS, 3B, 1B, and OF while giving the Cubs some infield depth. The Cubs also retain a team option for a third year, if they should choose, at $3.5 million. Descalso is not going to be an everyday kind of guy. He could be that veteran voice Theo and Jed have been talking about adding all winter. He might be the kind of guy who is Mr. Accountable in calling the other players to task. On the field, Descalso is a player who can succeed in small spurts. He is not going to a balls-to-the-wall defender, but he will be serviceable. Let’s be clear, it’s about the versatility and the potential for power. Last year, in barely 400+ ABs he cranked 13 HRs. Above all else, this is just one addition. It could be the signing before the signing before the trade before the signing. The Cubs, it seems, have several moves left to go to get ready for 2019.